ZANU-PF will in December hold its annual conference in Matabeleland South, Gwanda, the party's Secretary for Administration, Dr Obert Mpofu, has said. This will be the first time for the ruling party to hold its annual conference under the leadership of First Secretary and President Emmerson Mnangagwa. 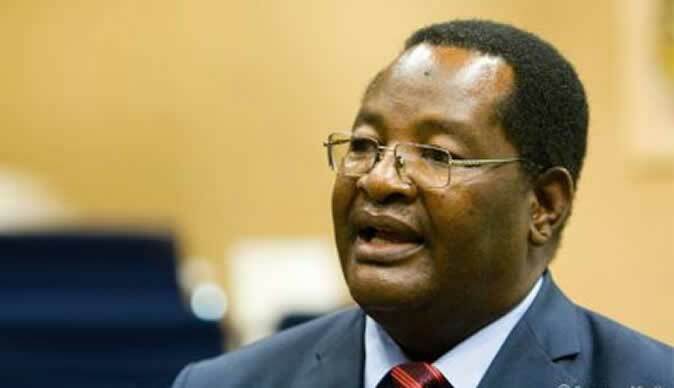 In an interview, Dr Mpofu said the party was seized with the conference preparations. "Right now we are preparing for the annual conference which is going to be held in Gwanda. And the preparations have started in earnest and the media will be kept informed of the developments as they unfold," he said. The party was last year expected to hold the conference in Gwanda but after Central Committee members recalled former President and First Secretary Mr Robert Mugabe as the Zanu-PF leader, the ruling party was forced to hold a Special Congress. The Special Congress was held in Harare and party members endorsed President Mnangagwa as the party's First Secretary and President. The Congress allowed for President Mnangagwa to appoint new Politburo members who replaced those who had been fired from the party. The appointed Politburo members were given a five-year term. Dr Mpofu said since President Mnangagwa took over Zanu-PF's leadership last year, the party has achieved stability contributing to its resounding victory in the July harmonised elections. He said Zanu-PF is set to conduct a restructuring exercise to realign the party and the process started with deployment of some of its senior members. "We are now in a position to reorganise the party hence the decision by His Excellency, the President, to have full-time members of the Politburo stationed at the party's headquarters. "Having full-time Politburo members will ensure that the party is in top gear and that the party is conforming to constitutional requirements in terms of its operations," Mpofu said.